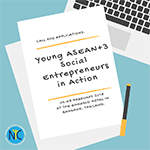 The National Youth Commission in partnership with the Department of Children and Youth of the Ministry of Social Development and Human Security of Thailand opens the application to the Young ASEAN+3 Social Entrepreneurs in Action which will be held on 4-8 February 2018 at the Emerald Hotel in Bangkok, Thailand. The program aims to create model guidelines for creating young social entrepreneurs, to promote social business among young people, to expand and strengthen social entrepreneur network and to promote business cooperation, creativity , and sustainability among the youth of ASEAN, China, Japan, and Korea. NYC will be sending 5 youth delegates to the program. An essay (not less than 500 words) about the applicant’s organization or social enterprise, answering the following question: How can the program help in the applicant’s career growth? 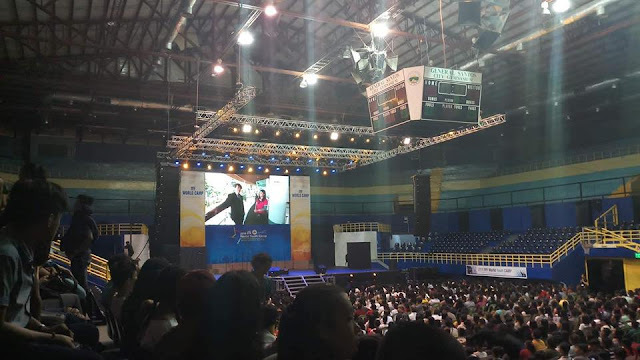 Delegates will shoulder their travel expenses from their residence (province) to NAIA and back, as well as their accommodation in Manila for the pre-departure briefing, international airfare (Manila-Bangkok-Manila), and their travel tax/terminal fee. The organizer will shoulder the delegates’ food, accommodation, and local transportation in Thailand. Deadline for submission is 11:59 PM / January 17, 2018. Please send all queries to nyc.aseanprograms@gmail.com with subject heading “Query: Young ASEAN+3 Social Entrepreneurs in Action”.